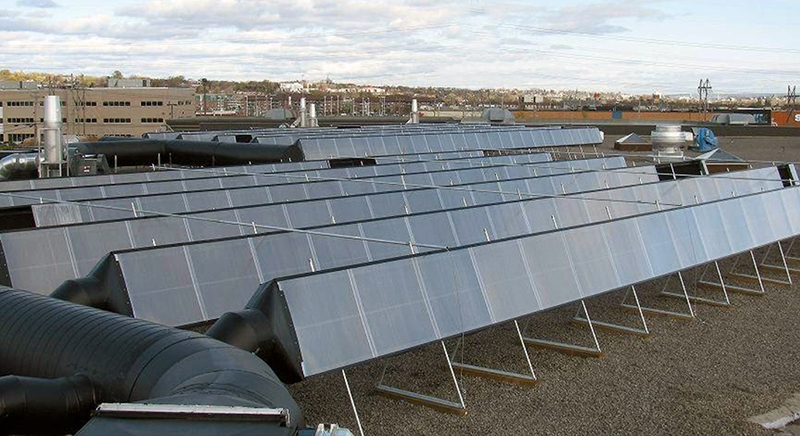 For Larger Commercial and Professional Buildings, the SolarVenti Pro Solar Air Collectors significantly reduce the running costs and energy use for heating, night purging and drying of larger commercial and professional buildings. 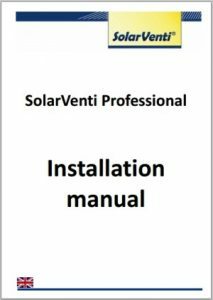 SolarVenti Pro can be integrated with existing air handling systems (HVAC: Heating, Ventilation, and Air Conditioning) or designed specifically to optimize the HVAC requirements of a new build. They can be incorporated into drying or aeration systems for agricultural grain drying, bio-waste facilities and processing, library air humidity balancing, industrial paint drying, warehouse workplace health and safety ventilation. 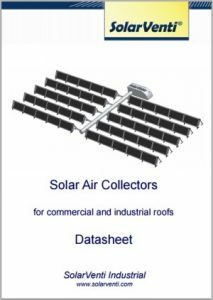 SolarVenti ® SVPro Solar Air Collectors significantly reduce the running costs and energy use for heating, night purging and drying of larger commercial and professional buildings. SolarVenti ® SVPro can be integrated with existing air handling systems (HVAC: Heating, Ventilation, and Air Conditioning) or designed specifically to optimize the HVAC requirements of a new build. They can be incorporated into drying or aeration systems for agricultural grain drying, bio-waste facilities and processing, library air humidity balancing, industrial paint drying, warehouse workplace health and safety ventilation. 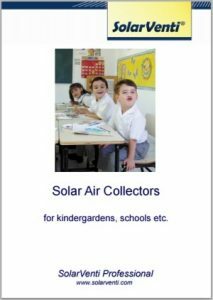 The Solar Air Collector is heated by the solar radiation when the sun shines, there is also ambient heat and good drying on overcast days.. The energy, heat and drying converted by the black filtration mat via the solar radiation will be transferred into the building as fresh, low humidity, preheated air. The air enters the collector through a patented perforated rear wall into a plenum. The air then passes through the absorber filter, made of a black technical material, which is resistant to high temperatures. The material is also the effective air filter. Unique to this collector is the conversion of solar energy to warm, fresh air. 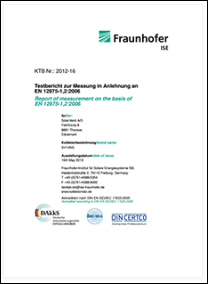 (Recorded temps on 6m2 collector – 56C & 9% R/H -01-06-2017). The air gap between the rear wall and the absorber of the solar air heater provides sufficient thermal resistance to transfer heat energy to the incoming air, eliminating the need for insulation. Especially suitable for professional and commercial building applications. for commercial buildings, offices, shops etc. to hotels, large public houses, large restaurants etc. Drying of stored timber, biomass waste. Grain, nut and feed product -natural drying. Air drying for paint or humidity facilities. Workplace health and safety ventilation systems. Filtrated night purging -free cooling for HVAC. If you are interested in the SolarVenti Pro for commercial and industrial buildings, contact your local dealer. 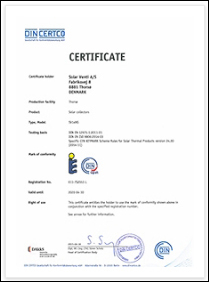 * New Certificate for SolarVenti SVPro. See the new DIN CERTCO certificate for SV Professional, and read here what the certificate stands for. Full filtration for night purging – free cooling. 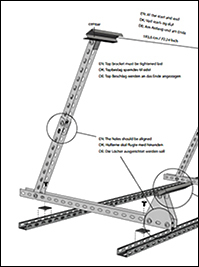 SolarVenti ® Professional solar air collectors are designed for roofs (or ground) with little or no slope. 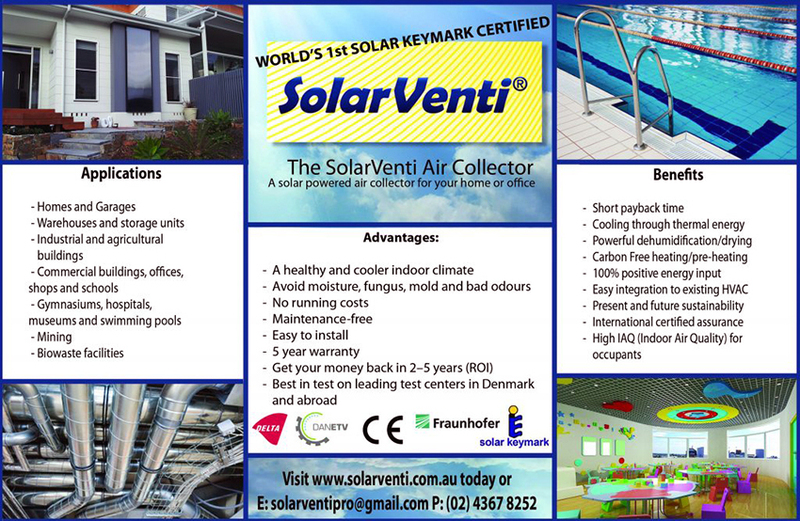 SolarVenti ® Professional solar air collectors are optimally installed facing as close to due North as possible. 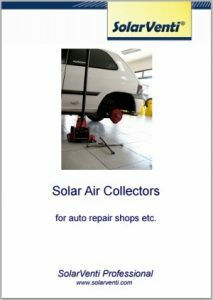 A deviation of up to 45 degrees from due North is possible, by simply increasing the area of solar collectors. Other recommendations: Max. 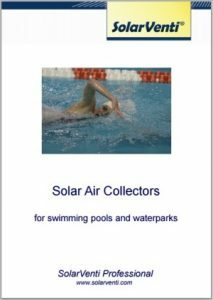 length per row of collectors: 20 meters, For large air volumes, more rows of solar collectors are recommended.